Even though it’s still winter, you are probably already dreaming of landscape greenery and fresh vegetables from the garden. I know I am even though I last harvested my garden in late November for Thanksgiving goodies! But alas, the winter freezes have set in for the duration of the winter, and I’m already looking forward to the next growing season. So I’m here to tell you today: Dream away! Winter is the time to start organizing your spring gardening and landscape design plans, and nurseries are already offering deep discounts for early planneBut don’t get too ahead of yourself, costly mistakes are often made when too many plants and the wrong types of plants are ordered, leaving you with depleted funds and empty spaces. There are a variety of ways you can save on your planting that go beyond timing plant orders just right. In fact, with a little foresight, you can propagate and save all year round with just a little knowledge and insightful planning. There are so many tips I can list to help keep your plant budget in check, that I decided organizing them in a fun and friendly way to remind yourself of how to best save money on plants, and plant production, all through the year. And this applies well beyond your outdoor plantings. Indoor houseplants and seasonal tropicals are just as popular to have around, maybe even more so due to their ability to cheer up a room and help freshen your stale winter indoor air! You know you’ve done this on more than one occasion, No shame, but these purchases don’t often work out as you envisioned while staring at glossy catalog pictures, or standing in nursery aisles surrounded by hundreds of choices. 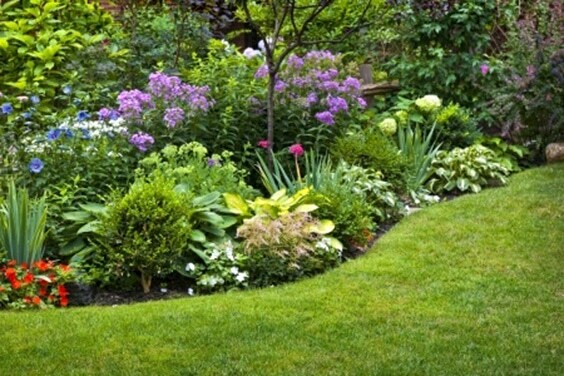 Zoning in on what looks fabulous and unique initially, may not fit well into your overall plan (explained below), or even grow well in your garden. Even though you may find yourself justifying a purchase that wasn’t originally on your plant shopping list, stop and ask yourself if you REALLY need it, and if it’s going to cost more than just the cost of a plant. Consider this especially if it is a tender plant, or houseplant that probably is not going to need both a pot, and potting soil to even make a home with you. Yes, you read that correctly, used. Many plants propagate and can quickly become more than the cute little potted plant that showed up in the evening post from a favorite nursery. Because of this there are many, many online sites selling cuttings. This includes everything from sites specifically set up for this, to popular auction sites. Your local Farmer’s Markets and other local gardening media sites also will often offer up cuttings for free or deeply discounted prices. Don’t see anything local? Start your own conversation concerning it! You may be surprised at what you find! I have saved A LOT of money by taking in the cast offs from other gardeners through both online and local markets. Bulbs and other hardy perennial varieties (especially herbs) ship well and transplant easily. Compost is a fantastic way to help amend soils and keep your plants thriving through the growing season. 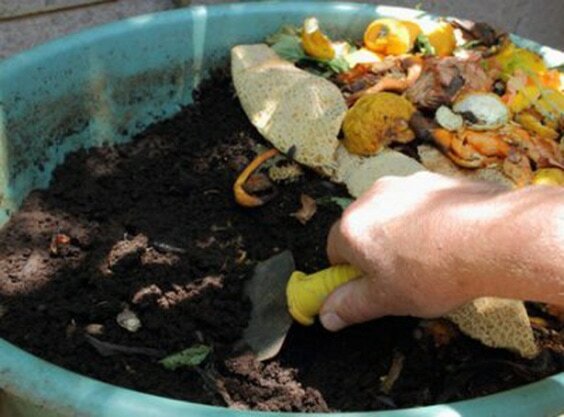 Compost adds in vital nutrients needed for your plant’s overall health and longevity. 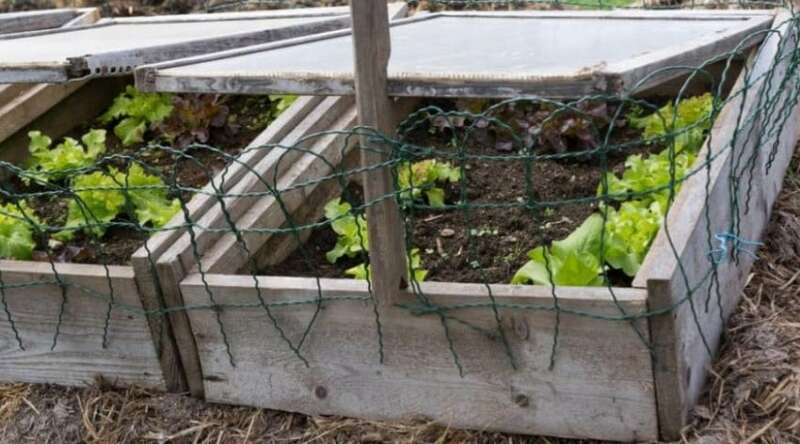 Whether you purchase it or create your own, it is definitely something to consider adding into your gardening know-how if you haven’t already. How does this save you money? Simple- healthy plant produce more. More fruits and veggies, more flowers, more propagation are included in the list of more – all ways that help you save on produce, and future plantings. And if you are feeling up to it, you could even make a fast buck selling your own ‘extras’ as mentioned above. There is nothing more exciting to a gardener than getting all your new plant purchases together and getting them into the ground or patio pot. Visions of matured plants in bloom tickle your imagination, which is why it is so disheartening to see them withering away a month or two later. Keep in mind that the plants you purchase, or start from seed, are going to grow. And sometimes they grow more than what you planned. It’s easy to want to fill up all your empty spaces, but be sure to space your plants according to their mature heights and widths to keep from overcrowding and the many problems this can bring: such as root crowding which causes plants to fight for available nutrients, and foliage overlapping that can harbor rots and mildews, and attract damaging insects. This can become costly to counter affect, and often results in digging up the overgrown area for a more simple landscaping design. 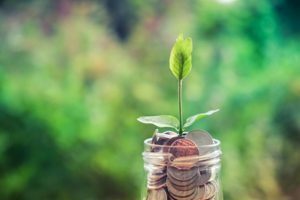 If you are looking to add to your flower beds, vegetable garden, or houseplant collection, but find yourself short on cash – take a look around your own vegetation to see if they can pay for themselves. 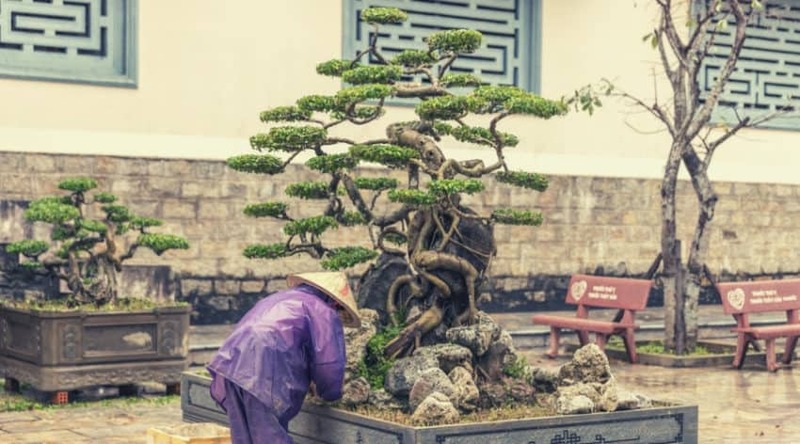 Even more popular than selling plant ‘extras’ are plant exchanges, where people are happy to trade off plants to introduce new species into their own location, and help clear out those plants that are trying to take over. I have found this to be most useful concerning many herbs. They proliferate at a quick pace and love to send out runners into adjoining garden beds. Gently dig them up and trade them out for some of those daisies you’ve been eyeing in the neighbor’s yard! A serious plant killer is improper fertilization. 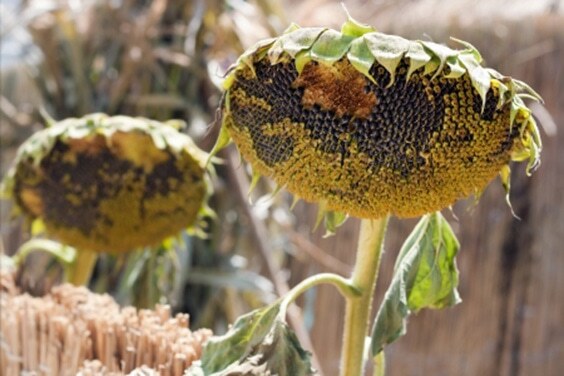 Nothing is better at stressing out your plants than providing too much of the wrong nutrient and making them susceptible to all sorts of ailments. 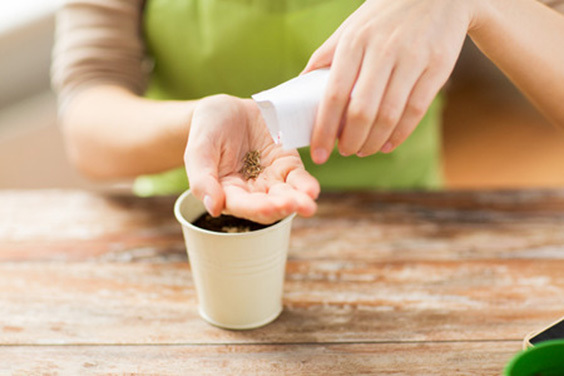 Correctly amended soils generally don’t need any supplements, but if you know your plants would benefit from a boost of fertilizer, make sure to know what they are lacking before application, and follow the directions to avoid any lingering problems. Killing your plant is like flushing your money down the toilet. Especially if you are expecting a crop that will now no longer exist. 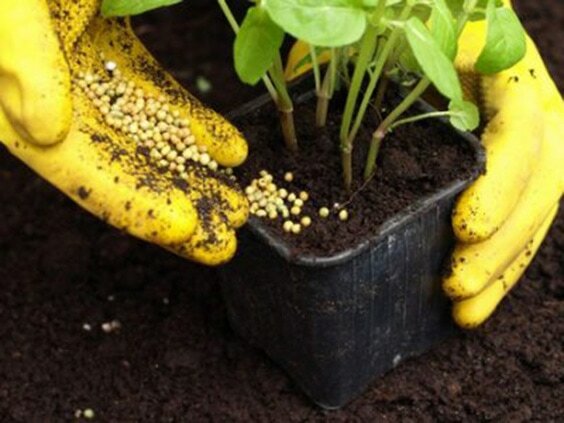 Fertilizers can also adversely affect plants by making them too leggy or bushy, and keep them from producing the flowers or fruits you planted them for in the first place. There is quite the cost difference between growing your own seeds and purchasing well started seedlings. 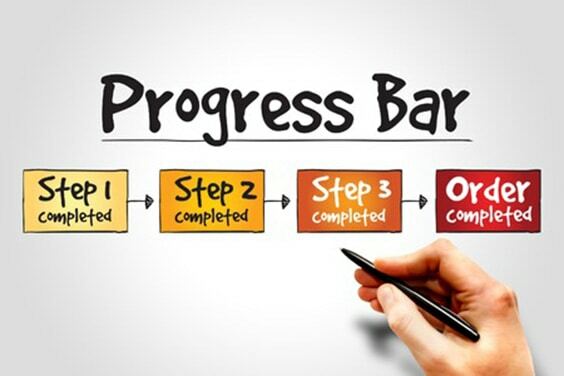 Obviously you will need to exert a bit more time and effort in the initial stages, but overall the result will be the same. 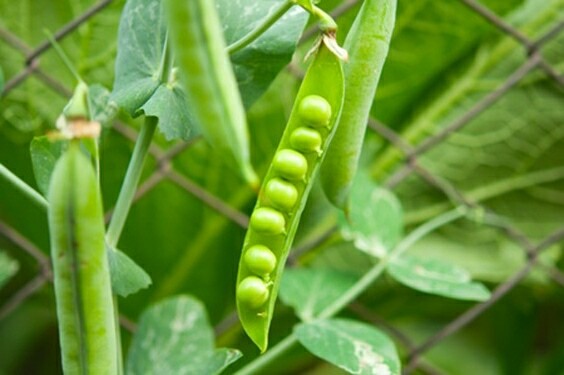 Consider that each seed is essentially one plant, and that you will have quite the stash of future plantings through the purchase of one packet of seed. Seed exchanges are also popular amongst gardeners, so consider reaching out to friends and community members to see what everyone is planting in their garden this year! My extra watermelon and pumpkin were traded for sunflowers and four o’clocks this last season and provided a ton of colorful blooms all summer, and a new batch of seeds for next year! Do yourself a favor and run a soil test before planting each year, and every few years in permanent gardening beds. This is also very useful for houseplants that just don’t seem to be doing as well as you would like. Plants take up nutrients quicker than they are replaced. 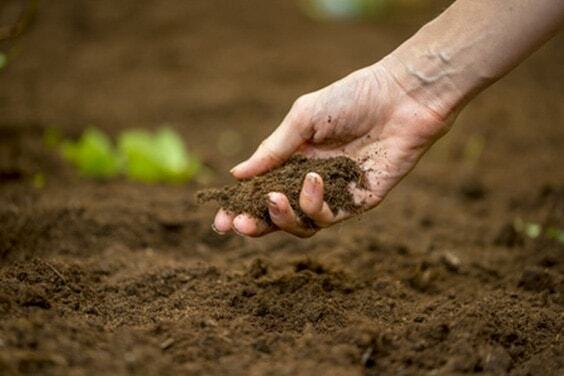 And even though there are generally a lot of things going on in the soils to help replenish them, amending soils with compost and manure, using mulch, and occasionally adding a fertilizer will aide in nutrient production and provide an instant boost to your plant’s root system. Newly acquired plants will often also suffer slightly during transplant. This is normal, but making sure your soils are well prepared for the new addition will keep you from losing both the plant, and the money invested in it. Soils are one of the most important variables to your plant health, so consider taking the time to pay attention to them in order to keep your plant in overall good health. Invest in your go to insecticides and fungicides. 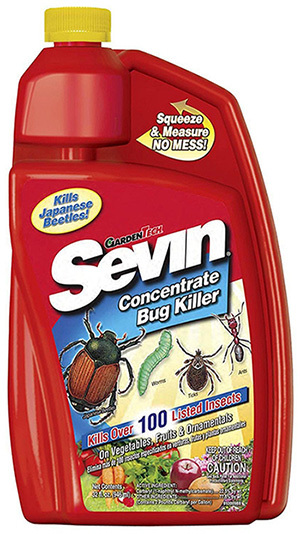 I prefer having both Sevin and Neem oil on hand in order to get rid of anything attacking my plants. 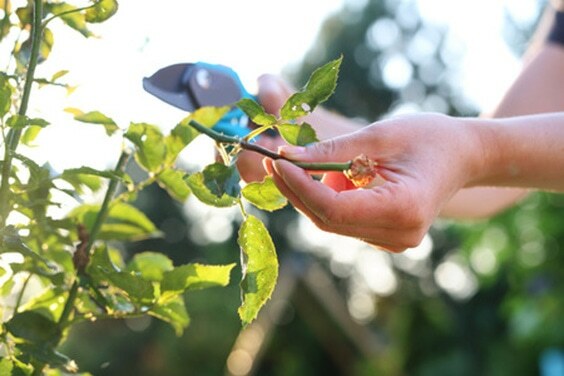 Insects and diseases can seriously weaken and kill your plants, and having a few inexpensive solutions up front saves you a lot of expensive problem solving in the future. Just because you have a mature plant doesn’t mean that it isn’t susceptible, or even strong enough to fend off an attack of some sort. I recently had an attack of spider mites on my 15 foot juniper tree, a $100 investment that has been going strong for over 5 years now. Luckily a $10 purchase applied over a few weeks took care of the issue and saved the entire structure of the tree, and my having to replace it for privacy purposes. Consider spending a bit more up front for a more mature tree or shrub over a bare root, 12 inch sapling. 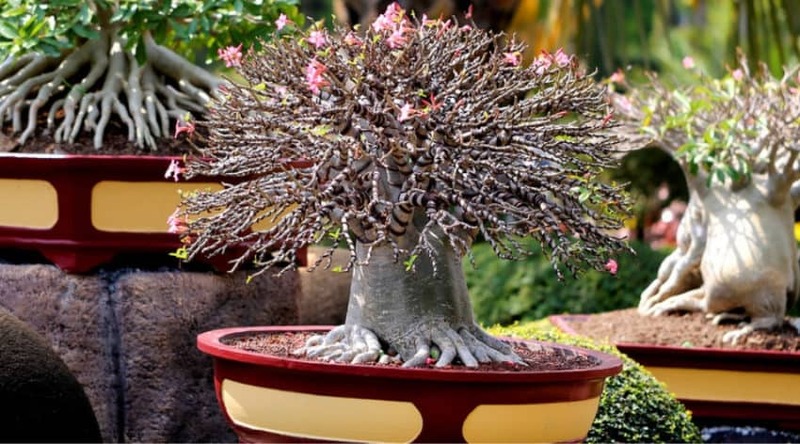 Although it may be more expensive to purchase a tree or shrub that is already a few years old and have stored up nutrients in it’s root bulbs for a successful transplant. 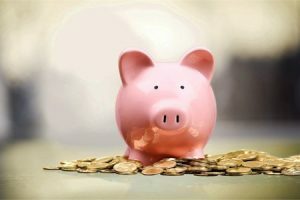 Your money is more than well spent due to the fact that it’s survivability is going to be that much higher, and you won’t waste time and money replacing failed attempts. Also consider the time of year you purchase these types of woody plants. If they have been sitting in the nursery lot all summer, they are going to be more stressed than if you are catching them as they approach spring and the end of dormancy. 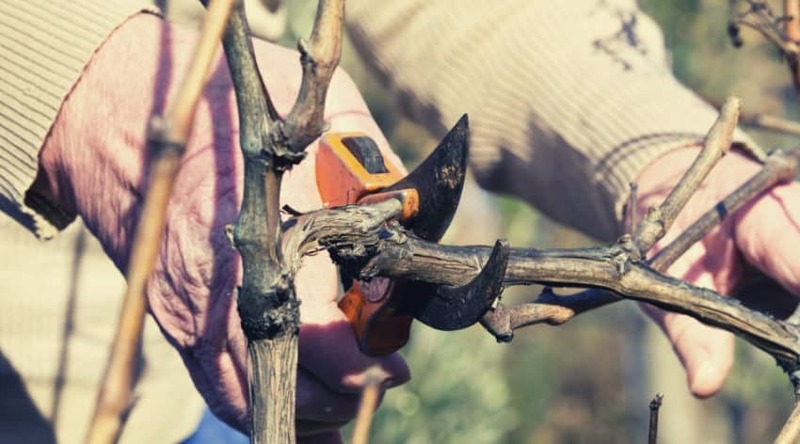 The best time to plant your woody vegetation is spring since you will be contributing to the nutrient uptake upon transplantation, and are allowing the root system to grow the entire season before the next dormant period. In short: HAVE A PLAN. Don’t go ordering your plants half hazardly due to your initial emotional attachment to a certain plant (remember about impulse buys?). That beautiful plant with the showy flowers may only bloom for one week and then look scraggly for the rest of the 358 days you have to look at it. Or it might grow into unfathomable proportions that you never expected- causing you to rip it up and waste all that money and time initially invested in it. 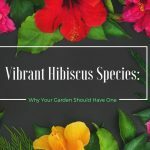 If you are putting in a new garden, first think about your basic special needs and then make your choices based on which plants will actually grow where you want them, and what size they will get. Stick to your plan since you can always add in more plants later down the road as they mature. 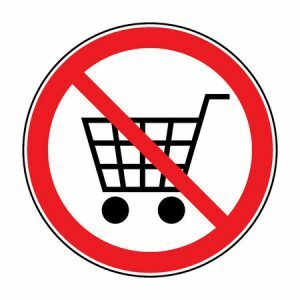 Basically don’t just start to put plants in your ‘cart’ and push to checkout before considering what you were looking for in the first place. My suggestion? Make a list and don’t stray! 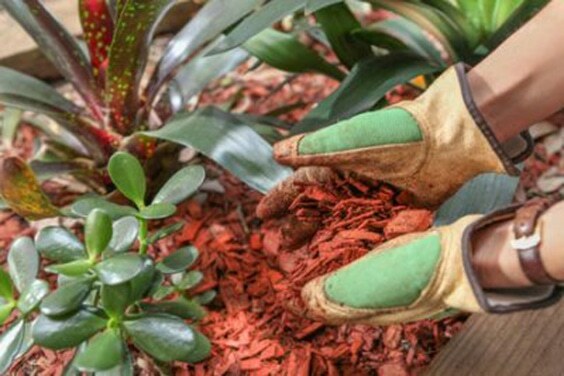 Mulch is an excellent addition to your gardens when used correctly, and can often be found for free at your local dump, releasing you from added plant care expenses. Not only does layered mulch add a nice, finished look to your garden beds, it also helps to keep in moisture, suppresses weeds, and provides a slow release of nutrients as smaller pieces decay and leech into the soils. This helps to offset the expenses of watering, weed control, and fertilization as well, adding to the overall savings you can apply to your plant care. Everyone always asks me what my secret to my lush garden beds are, and my answer is always the same: poop. Seriously. I work dried out (as in decomposing, crumbly stuff) into my soils each spring about a month before planting as an extra nutrient source, and my plants LOVE it. If you can get a ‘fresh’ source, make sure it has baked in the sun a bit before application as you don’t want it to be too ‘hot’ and release too much too fast. And no, in this state it no longer has a smell. Not having a source of fresh animal waste (think farm yard, not dog) doesn’t need to be disappointing- you can purchase manure at garden centers to work into your soils as well. 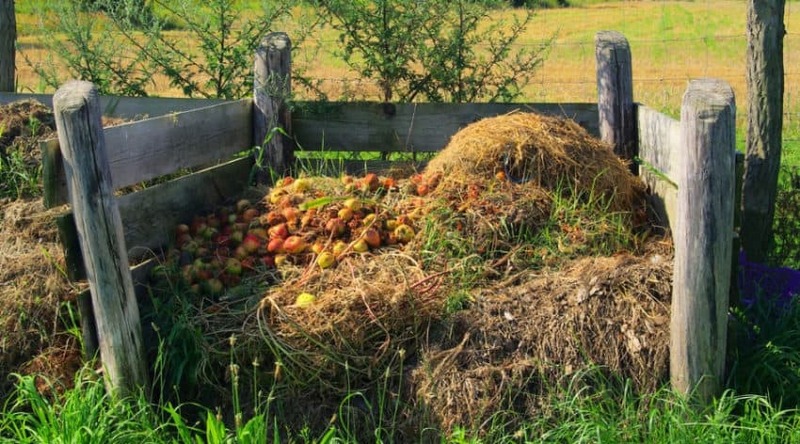 Manure provides a slow release of the nutrients plants love best, and help add in organic materials to keep moisture where you need it, and aeration near your roots. All things to help keep your plants happy and healthy – and producing! When planning out your landscape design, consider using the native species found within your growing zone. 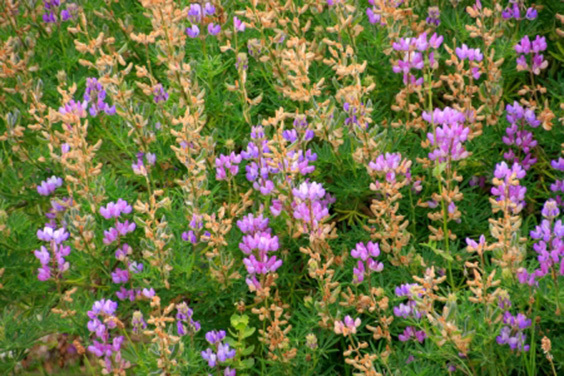 Native species are more hardy, transplant more easily, and are typically acclimated to either the dry, or wet conditions of your particular climate. I know exactly how tempting it is to try and grow a plant that is not typically seen where you live, and in some cases you can be successful with careful consideration of plant needs and a lot of ‘babying’ until it has become established- but in most situations plants that are being grow too far out of their natural environment don’t fair well and eventually die off. Having to replace a plant that you have poured effort into is frustrating for both your emotional state, and your pocketbook. You can’t seem to walk into any store come spring without being bombarded with greenery you must have RIGHT NOW for garden. Even though you may be tempted to take your pick of the best of the best from the new arrivals, consider holding off on your purchases. 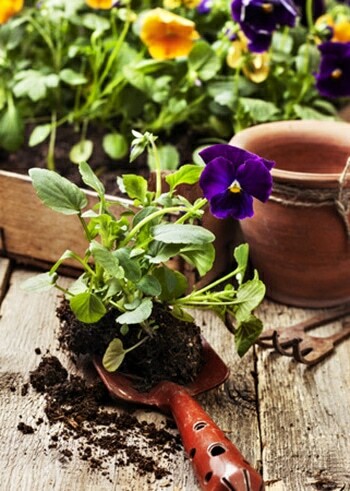 Even though the hardiest of plants are those more immediately transplanted over living in a small container to a length of time, there are definitely perks that are more friendly on your pocketbook if you can exert a bit of patience. Plants that have lasted on the ‘shelf’ because they are not as pretty as their flatmates often get moved to a clearance rack to be salvaged by people like us, or thrown away. Furthermore healthy plants are also moved due to new stock coming in, the planting season coming to a close, or because the plant has passed it’s bloom time and is no longer aesthetically pleasing to customers. This is when you should swoop in like a vulture and get what you can. These drastically discounted plants are a nuisance and eyesore to the rest of the garden display, and are headed for a dumpster. Perennials especially can take root and thrive quickly, and are not picky about when they have been planted. Who cares if they were beat up and not looking so great? The minute their roots take hold they will make up for it. Perennials multiple. And depending on the species, some can rather quickly. Bulbs are easy to dig and split to transplant to new locations. And most other perennials can be propagated through root splitting, or from cuttings. I did this recently and filled an entirely new 100 square foot bed with plants already existing in other places on the property. I had only 2 plants out of 50 that I moved not make it, and saved a few hundred dollars in the process. Consequently I had about 5 friends also add new plants to their gardens as well since i literally ran out of room. This is especially handy if you have friends willing to swap plants too, or a local plant trade as well. You can also sell your ‘babies’ for a little extra cash to put towards a few new species if you are so inclined. Basically with a little bit of communication and research, you can landscape your yard for next to nothing. This also applies to your houseplants. Research about your species and its needs, and when the time comes to repot, take a little of the plant and let it take off on it’s own. 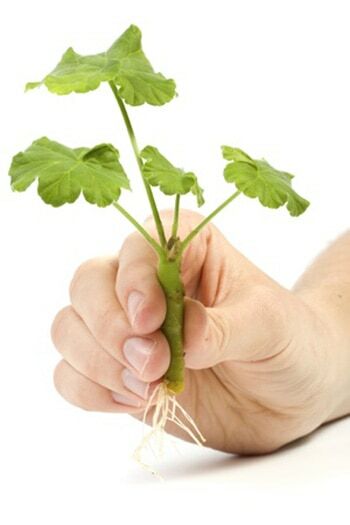 Many house plants can root from cuttings as well and after a period of water immersion, will begin to root and be ready for transplant. So if you’ve been coveting a friend’s gorgeous kitchen vegetation, ask if they would be willing to part with a piece of it for you to grow! Remember when I mentioned you should have a plan? Have a plan. Seriously. If you are looking to add to existing beds, or are creating spaces, you need to consider what is needed, versus what is wanted. 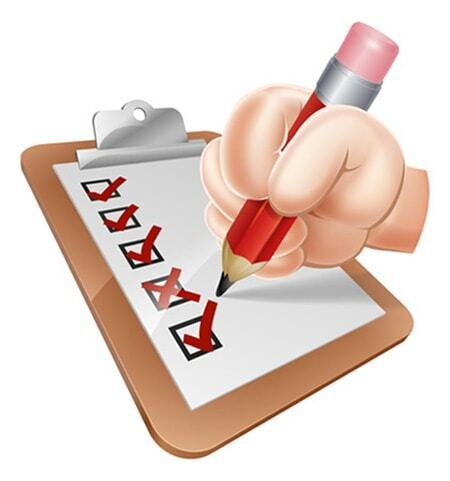 List your needs according to your garden bed areas, or indoor lighting and special situations. Have a shady area and need some ground cover and flowering height? Look over your options and make a decision before adding which plants you are going to look well together. The same applies in your vegetable garden. Do you really need 5 different tomato varieties? Especially if you only have room for 5 plants but also want a zucchini and pepper to plant? Researching your plant choices falls into the planning category as well. Before you plant, you really do need to know the needs of each plant; such as where they grow best, soil needs, watering needs, growing sizes, and overall care. Nothing is worse than watching a plant wither and die, or grow into such proportions you have to tear it out to start anew. 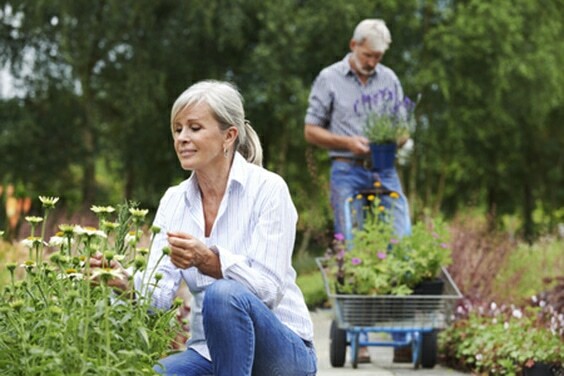 Considering the best choices for your planting spots, whether it be indoor or out, saves you the hassle of problem solving down the road to try and rescue ailing vegetation, or coming to the realization you made a poor purchase. List only those plants you know can survive in your climate, or that you have the time to care for when considering initial purchases. 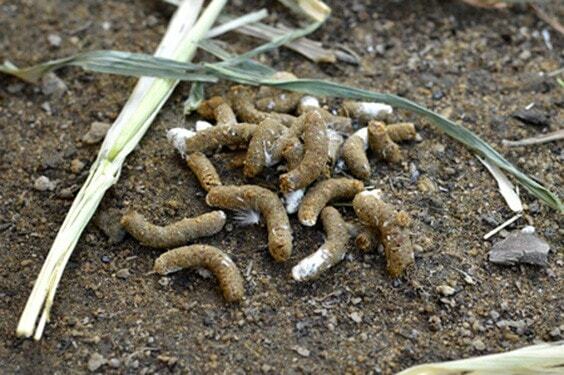 Many plants reseed themselves easily, and you should collect seeds as they become mature for the following year. I know people who replant their entire vegetable garden from the seeds they kept back from favorite plants year after year. Many annual flowers do the same, and the initial cost of a flat of flowers one year may become a decade’s investment with the proper care. Certain annuals may also pop back the following spring from dropped seeds as well, so do your research in advance if you would like to see this happen, and consider your placement of them since they will become an annual occurrence. Transplant shock is a very real thing, and can be the death of your young vegetation if not addressed from the moment you bring your plants home. To start, don’t let your plants sit in your vehicle until you are ready to plant them, even if it’s planned for later that day. Get them into a shady, non-windy area, and be sure they have been well watered. Hopefully you already know where you are placing your plants (see the need for a plan?) so you can get them into the ground as soon as possible. Waiting until evening when the intensity of the sun, and it’s drying properties have passed, is often your best transplant time for success- but there are a few other tips to make sure you have a successful swap you can take into consideration. Add in a bit of epsom salt to the bottom of the hole for some immediate nutrients. Once your seedlings are in, water thoroughly, and let them rest through the night. More than likely they will be on their way to establishment the following morning, even if they do get a little droopy over the next few days as they acclimate. If you have newly planted perennials that have yet to reach their full potential, or open areas you just haven’t decided what to fill with, consider using annuals as a temporary fix to your ‘bare spots’. Annuals grow quickly, therefore a little go a long way, and they add in the pop of color and greenery you are craving for those spots. Many reseed and spread as well, and you may be pleasantly surprised to find them making an appearance the following year, saving you the added expense of replanting. Ground sedums can also be a great filler, as they propagate and spread quickly. Despite being an annual in more northern climates, their roots often shelter well against other plants and will quickly proliferate the next growing season (in fact, I treat mine as weeds and regularly thin them, but leave a few back to cover my bare spots). I think I originally spent $3 on 10 small cuttings and now have an entire garden bed carpeted in small yellow flowers each spring. Just like your out of season specials, nurseries only place the best and brightest plants within view, and often tuck away the less than perfect picks. These 2nd grade choices are generally just as healthy as their #1 buddies, but had some sort of mishap along the way. Buy these. Don’t even LOOK at the displays placed in view for your buying pleasure. Go in search into the deepest darkest corners of the nursery for the plants that are being pampered for possible resale. If you can’t find them, ask. Wholesale isn’t for the faint of heart as there are minimums set for purchase and your overall price tag will be higher. What you need to consider, however, is that per plant you will be getting an amazing deal when buying in bulk. 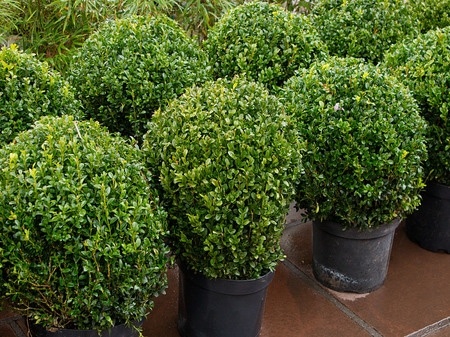 If you have large areas to landscape, go wholesale. If you have friends landscaping, make a PLAN together- and go wholesale. If you just want a few plants, and have few friends who just want a few plants, check the minimums, and go wholesale. Even if you are on the fence concerning this, this is where doing your research in advance can really pay off. Don’t think minimum purchases have to number in the hundreds of plants. 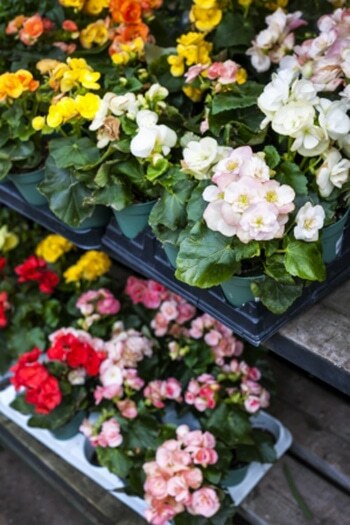 Many time you might simply be looking at an even dozen: or better yet, you can order any number of plants you want as long as you spend a certain amount. Depending on where you live, you may have determined that landscaping certain areas will require too much effort and cost to water. Don’t leave these areas out! Xeriscape vegetation requires little, to no, watering efforts once established, and raises your property value if noticable care and planning has been applied to your yard. 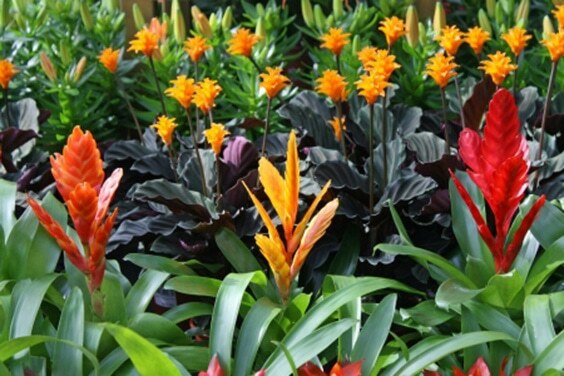 These types of plants (which include many lilies, iris, sedums, sages, etc…) require very little care overall, and can add a touch of organization to an otherwise unruly corner of your property. Plant, establish, and ignore. And reap the benefits of knowing your space is considered ‘landscaped’. Landscaping improves not only appearance of your yard, but also increases property value. Simple, low maintenance choices concerning your plants can spruce up any area as mentioned above, and even a small touch using split plants can be a free option for small improvements. 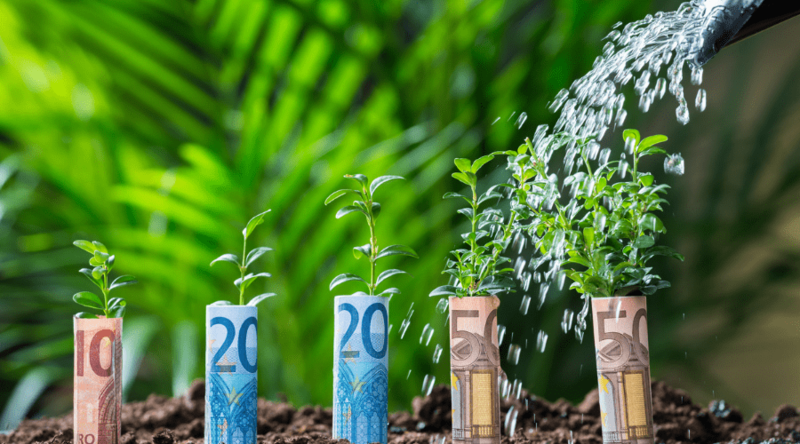 Saving with plants go well beyond the cost of the plant itself, and your overall investment results should always be taken into account when brainstorming your most recent gardening plans. Landscaping, as described in all my fabulous tips, doesn’t have to be an expensive expenditure with a little bit of patience and planning. Keep in mind HOW to save, and apply these practices when approaching your property design. Last, but not least, be sure you are always considering your planting zone, especially when catalog ordering. Plants that are hardy to your environment will grow and produce more and provide lasting years of landscaping purpose. Wasteful spending on pretty, but tender plant varieties often eventually fail due to neglect and failure of correct care due to unexpected weather patterns in any zone. On that note: keep in mind your local weather as well. Your own property will have a changing pattern of temperature highs and lows due to shade, Southern exposures, and wind (called a microclimate). 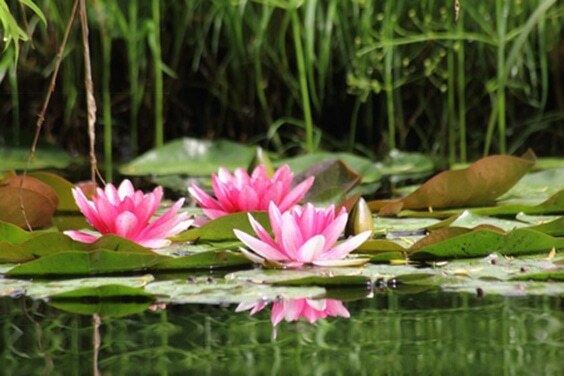 Certain plants may not grow as well in a garden that receives a reflection of light and sun off a wall, but may do well in full sun elsewhere. 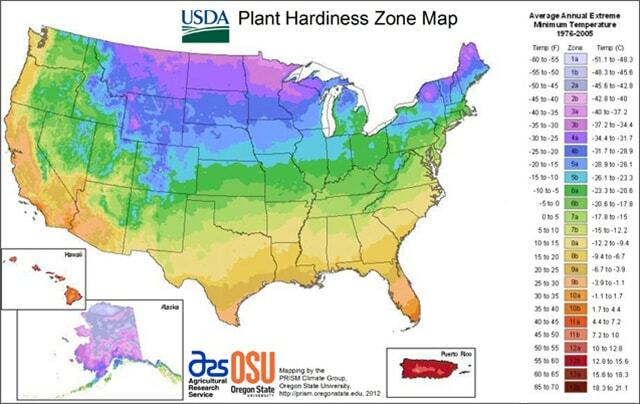 This is where advanced planning becomes important to avoid unnecessary plant mortality. Keep in mind the above tips to stretch your plant budget, and create the best landscape design you can imagine. There is no need to give up your ideas due to finances if you can save and plan, and apply a little patience to your dreams. Remember, start with a plan, and create your list of needs before getting started to consider all your options to reach your design goals. Look into community resources as well, and talk with your gardening neighbors and friends to see what ideas and materials they may be willing to share or trade with you. 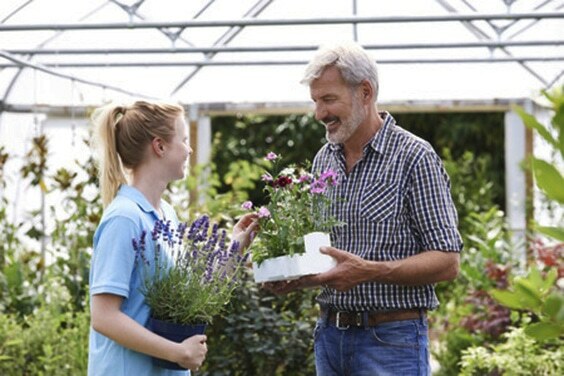 Gardening enthusiast love to ‘talk shop’ and you may be surprised to find how many people show interest in your hobby! Have any tips you’d like to share? Or questions concerning where to get started? Please comment below! What are Garlic Scapes and What Can You Do with Them?